An Open Letter to my Almost Two Year Old. | Then there were three.. 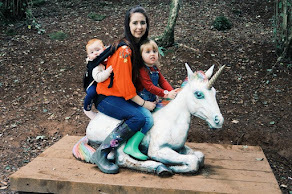 When I was pregnant I was adamant that I would be one of those Pinterest mothers - the ones who constantly did arts and crafts with their kids and cooked loads of amazing meals. That didn't happen - I should have known it was all a myth from the start! When we found out you were a girl I got the bright idea to make a baby scrapbook - from scratch. I managed the front cover, then got annoyed with myself as it was so bad. I ended up buying a baby book which I love, but so far I am still on "Week 9 of My Pregnancy" which, let's be honest, is rather embarrassing. The home cooked amazing meals started when you were weaning and I made a carrot puree. I accidentally missed a chunk of carrot which you decided to choke on and thus ended my Nigella Lawson days. I worried so much about this sort of stuff; only now I realise that you will never remember these early years and you are too much of a free spirit to sit still and make glitter bunting with me. Even before you were born I just knew you were going to be fiercely independent, a crazy and loveable rogue. You have had your personality set from the moment you were born - a laidback baby without a care in the world. Laughing at the most ridiculous of things. I really do hope that you take these qualities with you throughout your life. I always rolled my eyes at the parents who would post how they were "So proud" of their toddler for eating with cutlery or doing well in nursery etc. My God do I get it now. I really do. When I was told you will be starting trials in Rising Two's next week, I wanted to burst into tears (I didn't but I was close!) - I wanted to cry with pride but also with sadness as it meant you were growing up. I was worried that you wouldn't like it and be out of your comfort zone. But seeing how well you adapted last time, even after a few tantrums when I would leave, I just know that you will excel and flourish with all that you do in life. I am so unbelievably proud of the little lady you have become and will continue to be. You won't remember this time in years to come but I'm sure I will. I just hope that you don't ever stop being you - you manage to put a smile on my face even in my darkest of times and have saved me from myself in a way that noone else has been able to. I'm also very sorry to have given you a name that noone is ever going to be able to spell or pronounce.